Jordan is one of the most arid countries in the world. The once mighty river Jordan is now just a narrow creek. The demand for water is too large in the countries upstream. Steadily growing population figures and the climate change are stifling hopes of a rapid improvement in the situation. As part of a wastewater-treatment-plant project in the desert state, two lines of coarse/fine screens with conveyor screws and wash presses have been deployed at ambient temperatures of up to 45 degrees. However, the biggest challenges for the SPANGLER control system used in the project were not the heat or the desert sand, but the requisite safety regulations. Usually, as potentially explosive gases can accumulate in the screening room, everything which could be a potential ignition source, such as control units, are located outside the screening room, e.g. in a control room. At the plant in Jordan, however, the cabinet had to be installed in the potentially explosive zone due to the restrictions of the building. The SPANGLER control cabinet is therefore multiple protected against the ingress of gases. 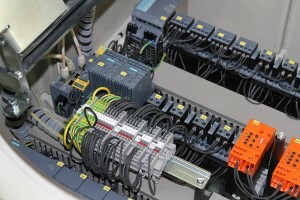 Even an explosion inside the control cabinet cannot cause significant harm as the approx. 40 mm thick wall with its specially moulded cable ducting ensures that nothing can penetrate to the outside. 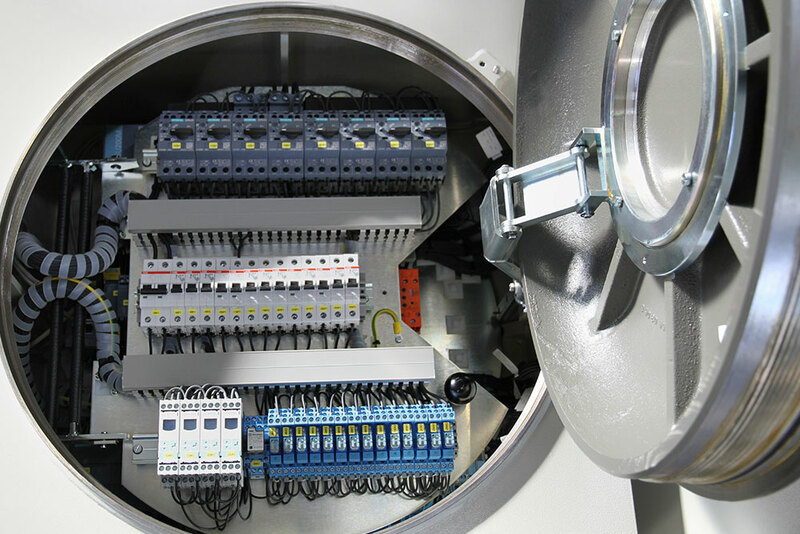 SPANGLER is also certified to manufacture cabinets according to UL698A, which are mainly used in North America, the Middle East and in countries such as Indonesia, Malaysia or Japan.